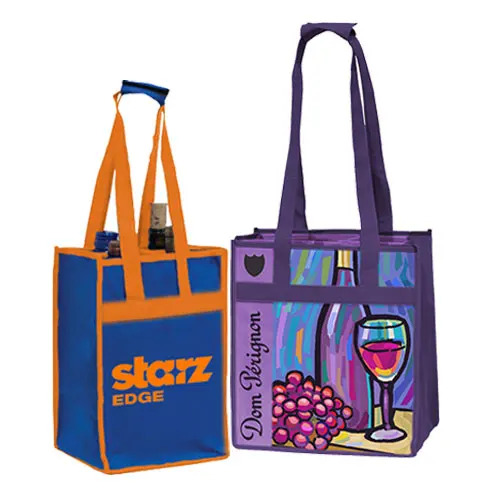 Reusable grocery bags that are customizable and 100% recyclable, not only let you spread your company’s brand, but these reusable bags are eco-friendly and let your customers know that your company is serious about sustainability and green practices. 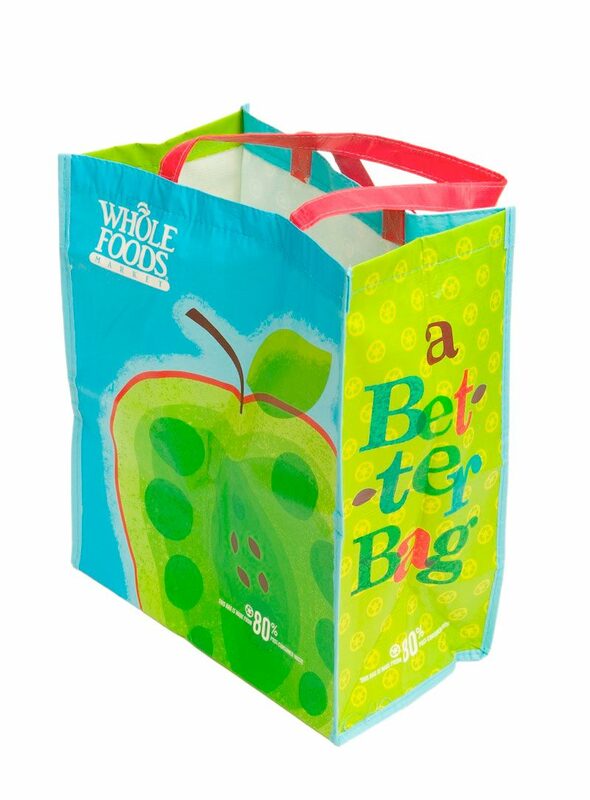 Our reusable grocery bags are made from 85% post-consumer recycled plastic bottles, so there is less non-biodegradable material taking up space in landfills. 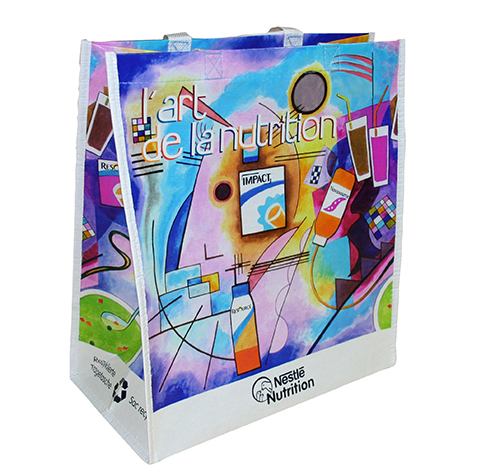 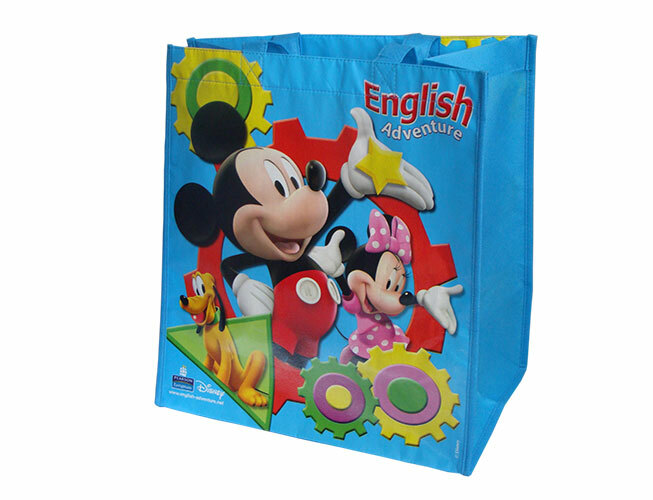 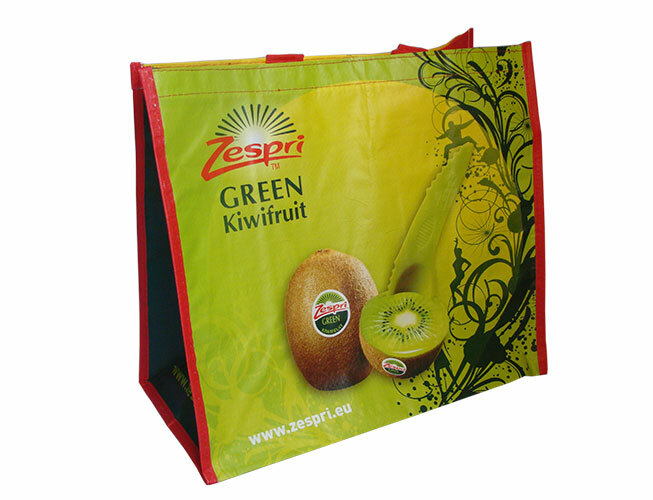 Full-color prints on all sides gets your grocery store’s brand message across and since these multi-use bags are so versatile beyond trips to the grocery store or shopping excursions your customers are bound to use these recycled bags when they hit up the gym, or beach, or even to carry items to work. 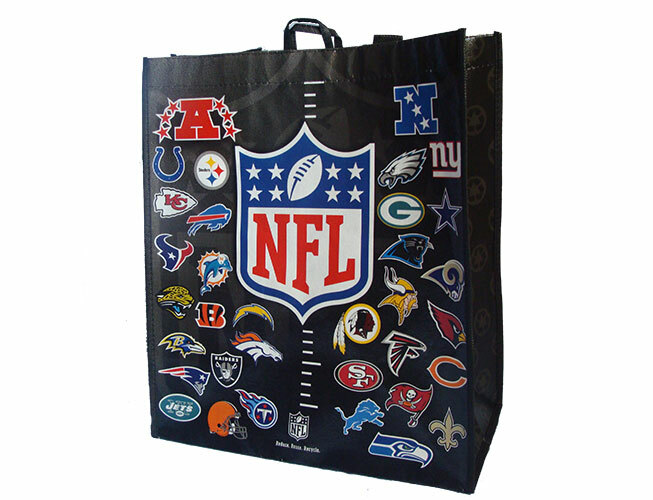 This continued use will get your logo and message out there for others to see. 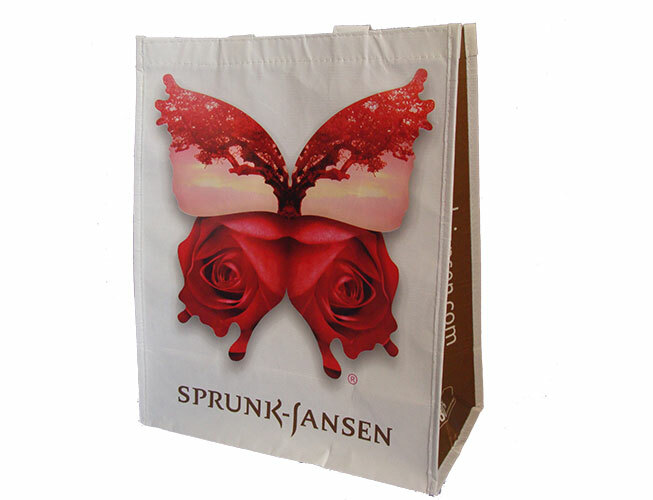 Wholesale factory pricing and a wide array of customizable features allow you to create the ideal reusable grocery bag for your brand. 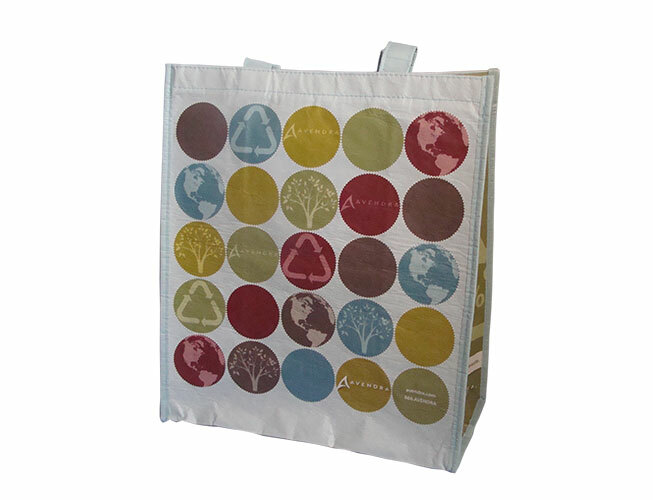 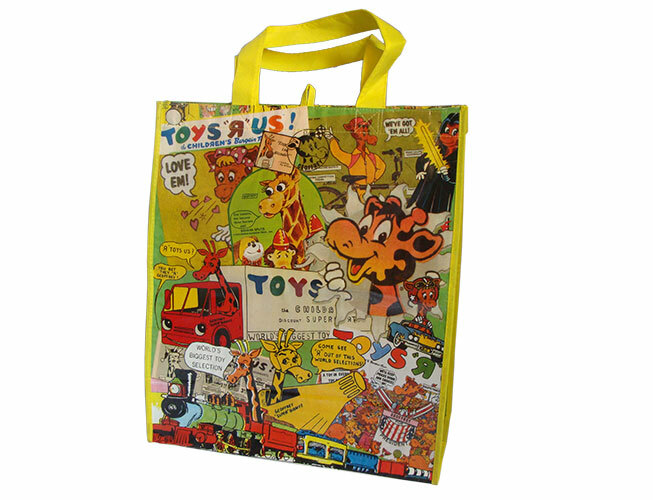 Choose from material and handle colors and more to create a bag that leverages your environmentally conscious move to use recycled and reusable bags to establish brand loyalty.